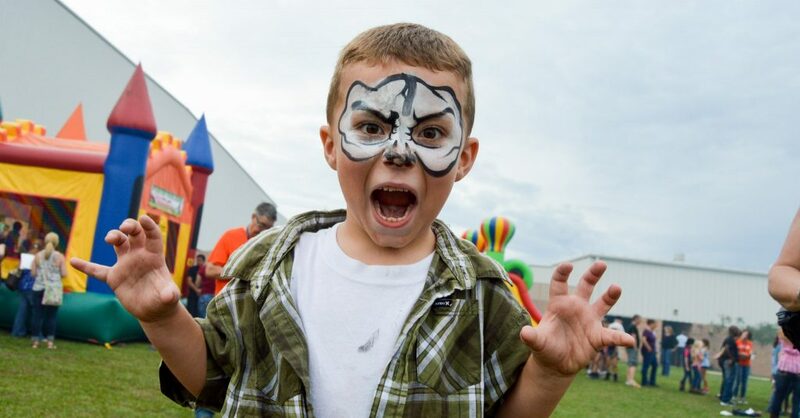 You may be familiar with rodeos in Florida, like the Silver Spurs Rodeo and Monster Bulls, but did you know the Silver Spurs Club is hosting an exciting and spooky new rodeo event your family is sure to love? On Saturday, October 7th, the Silver Spurs Club is inviting local cowboys and cowgirls to compete in its first-ever Boots, Bulls and Barrels event. On the blog, we’ll go over what you can expect during this event and why your family will love it! Whether it’s going out for a nice dinner or a party, we all like to occasionally play dress up. Now here’s your chance. In the spirit of Halloween, the Silver Spurs Club invites kids (and adults) to attend Boots, Bulls and Barrels dressed up in their Halloween costumes. So if you’re looking to update your Facebook cover photo, there will be a perfect backdrop for you and your family to pose in front of as a family of ghosts, werewolves, or whatever you’d prefer! 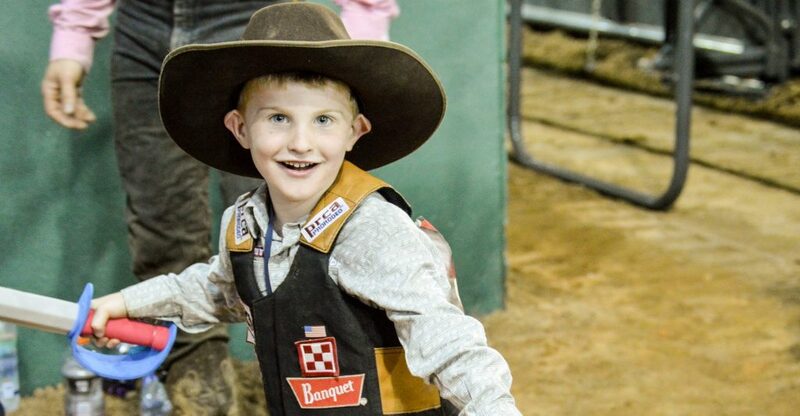 Little do people know, rodeos in Kissimmee give your little cowgirl, cowboy or ranch hand a chance to see a real cowboy and cowgirl in action! You’ll see that there is more to the cowboy way of life than riding a horse into the sunset. During Boots, Bulls and Barrels, you and your kids will be able to see cowboys ride a bucking bull for (hopefully) eight agonizing seconds. Your kids will also be able to see how fast and hard cowgirls ride as they compete against one another (and the clock) in barrel racing. Let’s face it. Who doesn’t love candy? From Skittles to Reese’s, Halloween brings a variety of different candies together where kids can enjoy a night of sugary, chocolatey (or fruity) goodies. Unlike other rodeos in Orlando, during our Boots, Bulls and Barrels event, you’ll get to have round one of your Halloween sugar rush. Make sure to bring your trick-or-treat bag, as our vendors and the Silver Spurs Club will invite all the kids to trick-or-treat around the concourse before the rodeo. 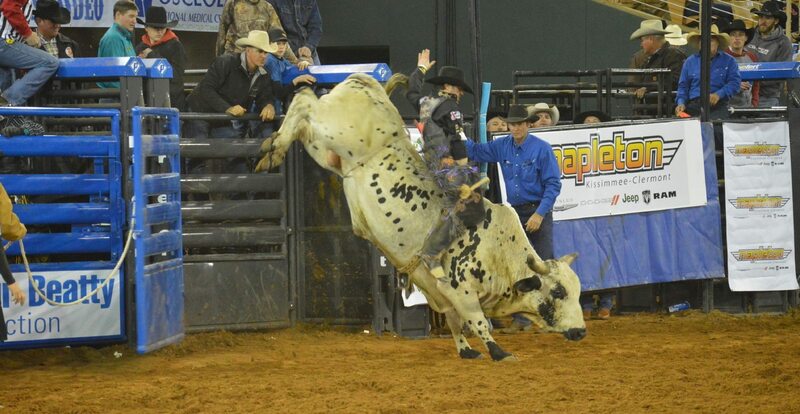 Bull riding and barrel racing are two of our rodeo fans’ favorite events. And who could blame them? From seeing how fast a bull spins or how high they jump to shake off a cowboy to the millisecond time difference that could determine whether a barrel racer wins it all or nothing, there is sure to be plenty of excitement. During Boots, Bulls and Barrels, guests can enjoy a night full of bull riding with a little bit of barrel racing from the top 10 fastest barrel racing times from the Silver Spurs Spooktacular 4D barrel race.